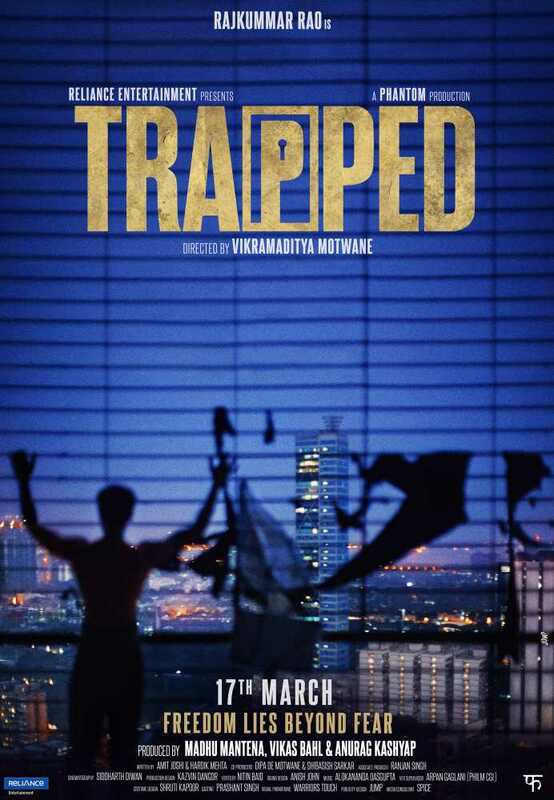 Trapped is a forthcoming film directed by Vikramaditya Motwane, the maker of Udaan (2010) and Lootera (2013). Produced by Phantom Films, the film, a survival thriller, stars Rajkummar Rao, whose character is shut in a Mumbai apartment for 25 days. It was shot in less than a month in Mumbai in 2016. Written by Amit Joshi & Hardik Mehta, Trapped has music by Alokananda Dasgupta, while Siddharth Diwan is the DOP and Nitin Baid is the editor.